Graham: Ford's Testimony Won't Change My Vote - Joe.My.God. “I want to listen to her, but I’m being honest with you and everybody else. What do you expect me to do? You can’t bring it in a criminal court, you would never sue civilly, you couldn’t even get a warrant. What am I supposed to do? Go ahead and ruin this guy’s life based on an accusation? I don’t know when it happened, I don’t know where it happened, and everybody named in regard to being there said it didn’t happen. Unless there’s something more, no I’m not going to ruin Judge Kavanaugh’s life over this. 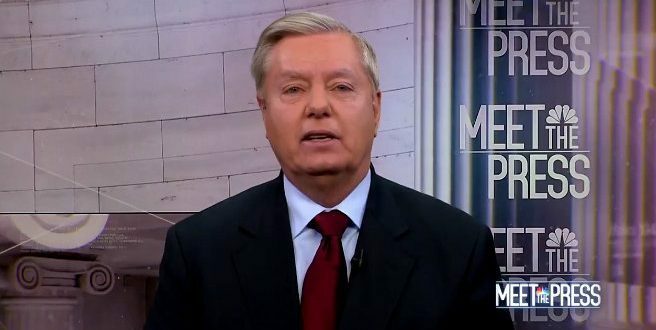 But she should come forward, she should have her say, she will be respectfully treated.” – Sen. Lindsey Graham, speaking this morning on Fox News Sunday.